Last night I made my way to the Life Cafe, less than two blocks from the New York Loft Hostel, to grab what I hoped would be a pretty tasty vegan chilli. I was not disappointed, the staff in Life were also incredibly helpful and friendly when I got chatting to them about the local area. After enjoying my dinner, I found that two girls I had met in D.C. were also staying at the Loft Hostel and we spent the evening chilling out in the garden discussing the rest of our plans for New York and the journey beyond. Today, my plan, quickly thrown together last night was to meet up with Ingrid, who I’d met in Miami. 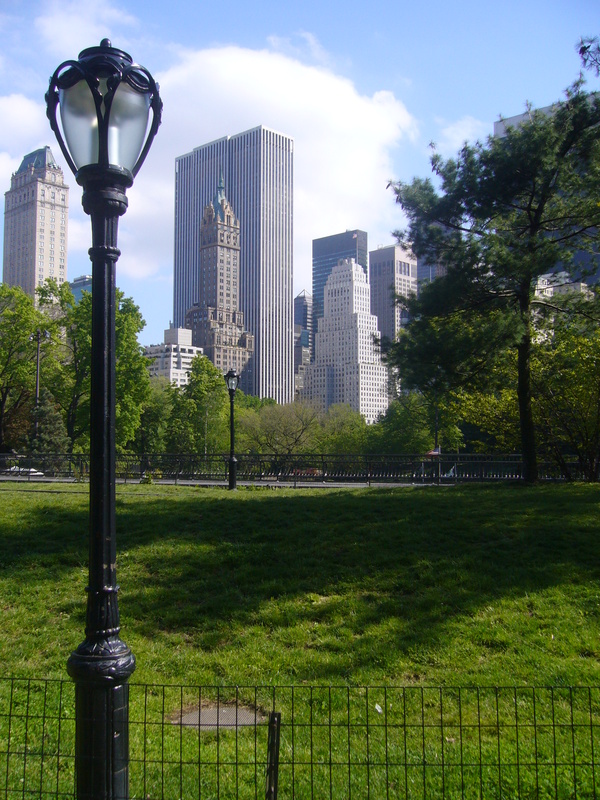 We were going to meet at Columbus Circle at the South-East corner of the park. The weather was pretty bad, but after the way it had cleared up yesterday I was confident that the same would happen again. 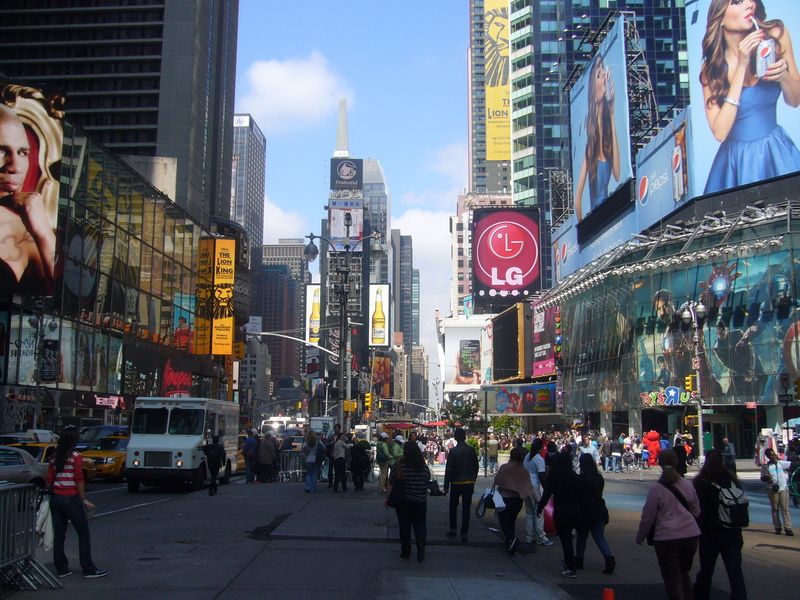 I caught the subway as far as Time’s Square and thought it would be worth walking from there. I emerged into the lights and screens to find the rain still pouring down, but continued on to Columbus Circle, almost walking into Ingrid as she walked through a door. We grabbed a quick waffle as we decided what to do. We had originally planned to hire some bikes and cycle through the park, but having both said we’d not been on a bike for years and the treacherously wet conditions we decided to walk instead. 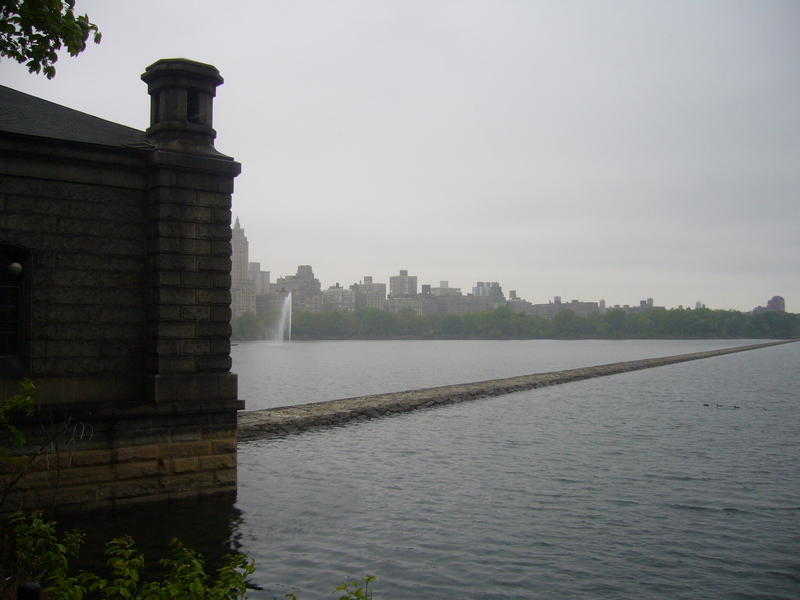 Fortunately for the most part of the journey, the rain eased off and it wasn’t until we reached the Jacqueline Kennedy Onassis Resevoir, which I think if the weather would have been better would have been very picturesque. The rain started to come down on us again and Ingrid had a couple of ideas of places to go to eat. We got on a bus which, whilst being considerably slower than the subway, allows you to take into some of the city. 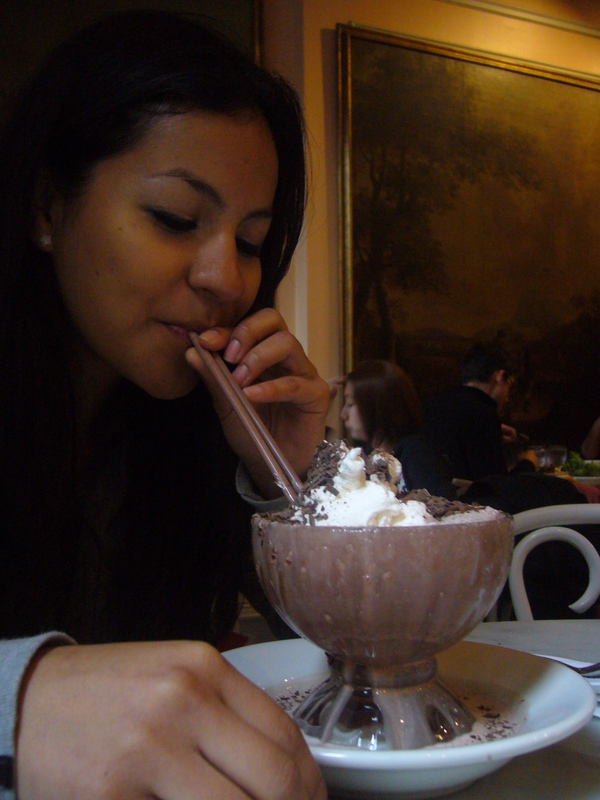 We ended up at Serendipity, famous for frozen hot chocolates; an idea at first I struggled to understand but after trying one, made significantly more sense. We stopped for a while, enjoyed a burger before heading back out into the miserable weather. After wandering through the city for a while, I headed back to the hostel where I met up with my German room mates again. Tonight we found ourselves on Bedford Avenue once again and found a small bar where we enjoyed a couple of beers, fried pickles and a couple of bowls of fries. After a little debate as to where we should go from there, Christian decided SpikeHill would be the best place as he really wanted to see some more bands playing. More beers were consumed and we got ourselves an invite to a party. At around two in the morning we stumbled back to the hostel and passed out. 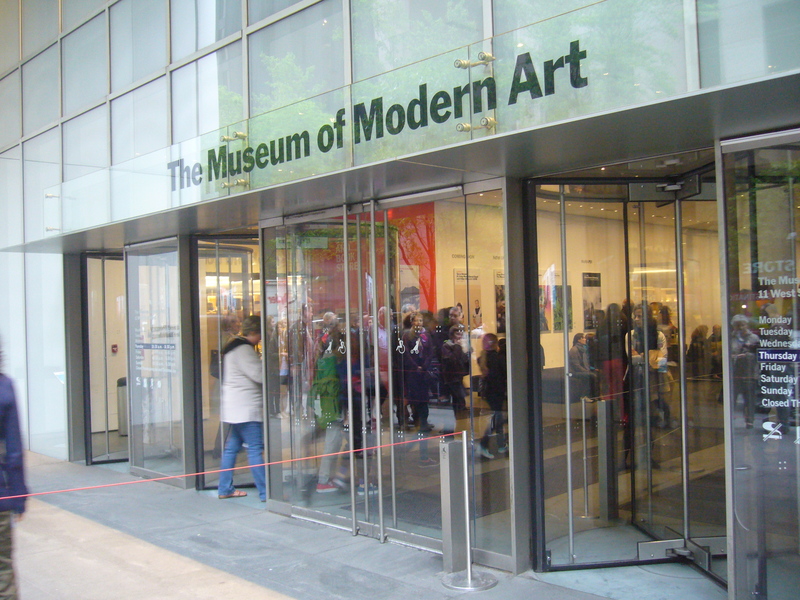 Initially the four of us had agreed to leave the hostel at nine thirty to get to the Museum of Modern Art as it opened. Unfortunately, Christian, Phillip and myself had a little too much fun last night and didn’t wake up. Tim had left us early and had already gone for a run by the time we got up and ready to go. Eventually we found ourselves on the subway heading towards the MoMA. Three of us were suffering slightly and had to grab a coffee and pretzel to help deal with our headaches. Once inside the museum it didn’t take long for us all to be separated; each of us moving at our own pace enjoying some works more than the others. 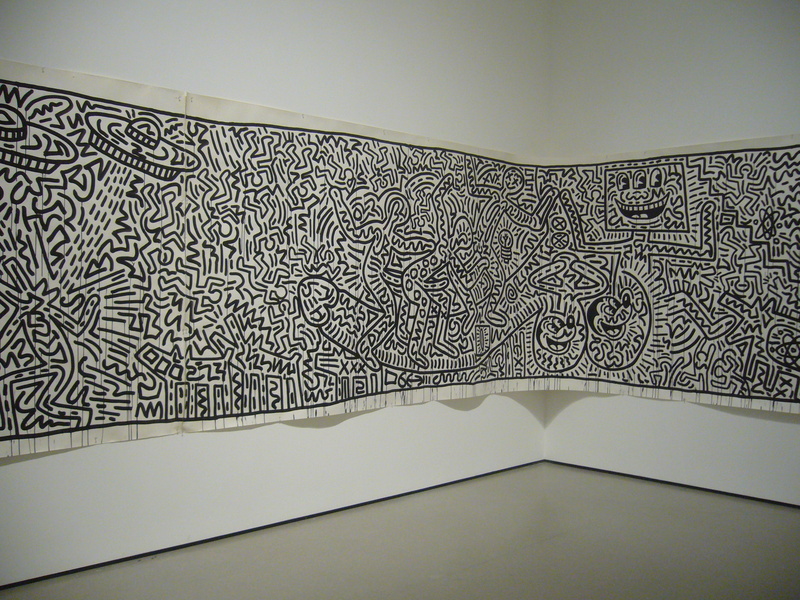 I particularly enjoyed the Pop-Art galleries, having been a fan of the likes of Keith Harring and Roy Lichtenstein. My favourite exhibit in the museum though was a set of photographs; A Living Man Declared Dead and Other Chapters by Taryn Simon. The most provoking of her works, for me, is a documentation of the genocide in Bosnia. The work consists of three panels; one containing portraits of bloodline members of one victim, a second containing an annotation and the final panel of photographic evidence of the event. There were plenty of other pieces that I was drawn to but I don’t think I can really do them any justice. The label of “must see” applied to the MoMA is totally justified and I can’t recommend it highly enough! If I had one bad thing to say it would be on the lack of the Soviet Space Race Propaganda; I can’t get enough of it and didn’t find any here! Once I had eventually had my fill of modern art and design I headed across the city to pick up a Circle Tour of Manhattan. Down at Pier 83 I got on the boat and was carried down the Hudson, past the Empire State Building, Midtown, to the Downtown Skyline and out to the Statue of Liberty. 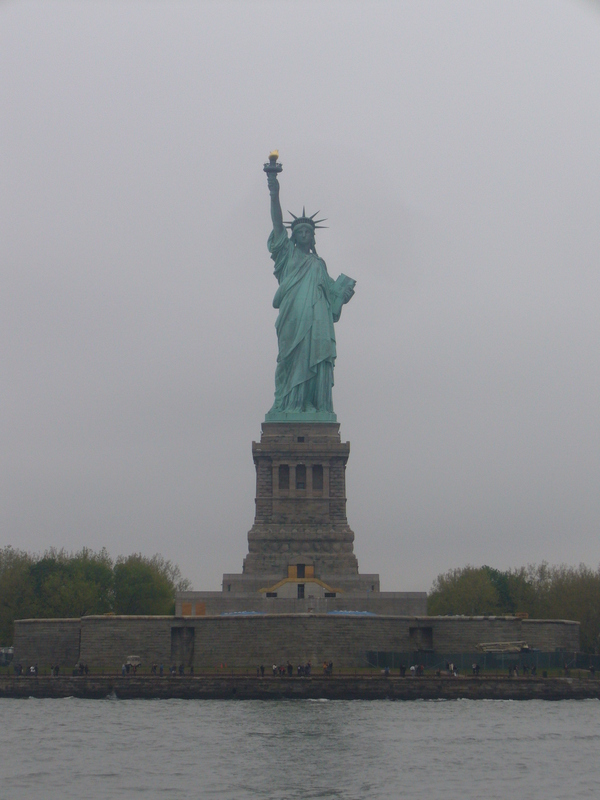 This time I really got a good look at it and Liberty is truly beautiful. The boat then travelled up the East River, going under the Brooklyn Bridge and as far the United Nations building. 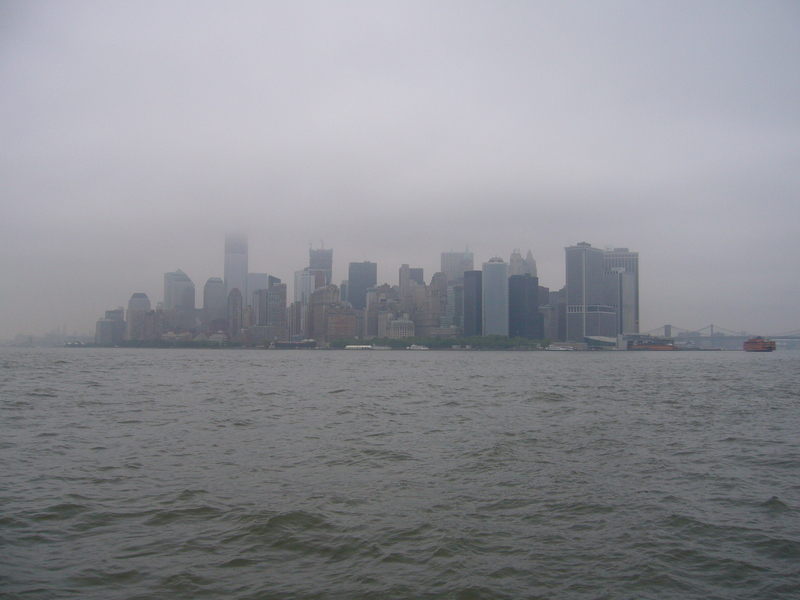 Unfortunately, as it has been for the duration of my stay so far, the weather wasn’t perfect and visibility was somewhat poor but being able to see the Statue of Liberty more than made up for this. Once the boat tour came to an end, I made plans to meet up with Ingrid in the evening to be shown around the pretentious New York club scene.